Christmas is a holiday that is celebrated in many countries, but each one has some peculiarities. 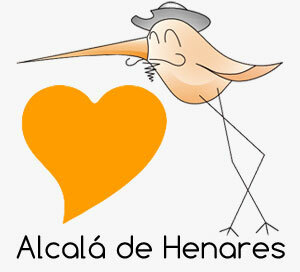 Alcalanow is going to explain to you the way we celebrate it in Spain and our special feasts. Before Christmas arrives, cities and homes are decorated. Multitude of lights are placed along the main streets, and Christmas markets are mounted. Homes show Nativity Scenes, Christmas trees and lights. Sounds familiar, right? Now comes the interesting things. ● The drawing of the Christmas Lottery, December 22nd. This is the day when the Christmas National Lottery is held. Spaniards everywhere are listening to the live broadcast of the lottery: in homes, local shops, and cars – any imaginable place. The children of Colegio de San Ildefonso raffle off the prizes; accompanying each one with a special song. It is the song that tells us that Christmas has officially arrived! The usual question everybody is asking on the 22nd of December is: ¿Ha salido ya el gordo?. El gordo is the biggest prize of the raffle, and everybody is wondering when it will finally be announced. If you are lucky, they will call your number and it will change your life. number 58.258 and the prize 4.000.000 Euros. 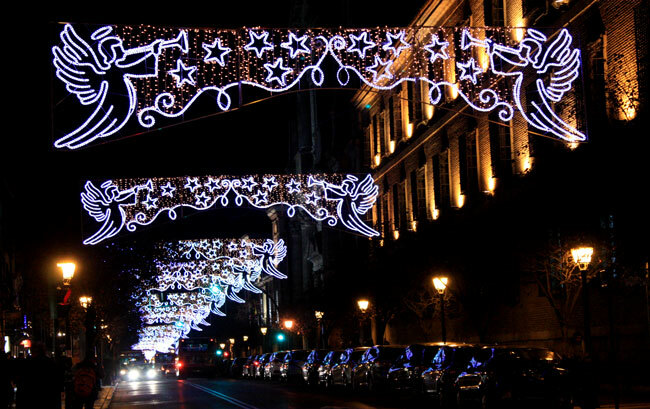 Spaniards are not big gamblers, but the Christmas National Lottery is special, it has the magic of Christmas. A typical Spaniard purchases tickets from different places, some people have been buying tickets since the summer holidays! Nobody wants to miss the opportunity to win El gordo! ● Christmas’ Eve, December 24th. Nochebuena is a night to spend with family. We meet for dinner and enjoy exquisite dishes like lamb, turkey, ham and seafood. Dessert is an array of typical Christmas sweets: turrón (nougat), polvorones (a kind of soft cookie) and marzipan. At the end of the evening, we make a toast with cider, cava or champagne. This night is also a night of joy and cheer. Children sing Villancicos (Christmas Carols) and the family joins in. There aren’t many rules for playing these songs, and we can use an old bottle of anisette, clap our hands or just make some noise. We do have some traditional instruments though like the pandereta and zambomba. Before dinner, kids sing around the neighborhood to ask for Aguinaldo (pocket money). They ring neighbor’s doors and sing a Villancico waiting for some money in exchange. People give them money depending on how good they sing and sometimes they even request specific songs. ● Christmas’ Day, December 25th. On el día de Navidad Spanish families meet again for another big meal to celebrate the birth of Jesus. In the past gifts weren’t exchanged on this date because we have a different holiday for that (Three Kings Day). However, Papa Noel (Santa Claus) is getting more and more popular nowadays, and some kids receive their presents on Christmas. ● Day of the Holy Innocents, December 28th. Jokes and pranks are customary on el Día de los Santos Inocentes. This feast is similar to April Fools’ Day in the UK and other parts of the world. Although the origin of this festival is the slaughter of the Holy Innocents in the Bible, in modern times we enjoy jokes like hanging paper dolls on someone’s back or give shocking news that is false (if you read something “impressive” this day, you may want to wait till the next day to check if it is actually real). How to make La Petaca on a friend’s bed. ● New Year’s Eve, December 31st. Nochevieja is the “oldest” night of the year. Spanish families meet and have a big dinner. Afterwards we celebrate with our friends. These parties usually start well after the new year has arrived. Before meeting with our friends we must eat our 12 grapes at midnight for luck. In the past people ate the grapes in the main square of their town or village, but nowadays everybody watches the live transmission from La Puerta del Sol in Madrid on TV, and eats one grape for each chime of the clock. If you want to have a real Spanish New Years Eve you can’t leave out the grapes. Eat one with each chime and be careful not to choke. Now you should have a good start to the new year with lots of luck! ● New Year’s Day, January 1st. El día de Año nuevo is again spent with family eating a big meal (many times we will spend the day with a big hangover, too). Family is an important thing in Spain, and we have plenty of people to meet! ● Three Kings’ Eve, January 5th. La noche de Reyes is spent in preparation for what will come that night when the Three Kings: Melchor, Gaspar and Baltasar, bring toys to kids. During the weeks before this evening, children will have written a letter to their majesties asking for the gifts they want, although they will only receive something if they have had good behaviour during the previous year. Mothers are always reminding children of this! If kids are not as good as expected they will get some sugar coal instead of toys. Poor things! In Alcalá and most cities the Three Kings will appear in a Parade, handing out candy to children. After that, kids have to go to sleep early and leave a shoe close to the Christmas tree or a window and this will be the place where the Kings will leave their presents. They may need some milk or cookies to recover from the long journey. ● Three Kings Day, January 6th. El día de Reyes is the happiest day of the year for kids since they get their presents. Most of us will just get some Roscón de Reyes (a large ring-shaped cake topped with some candied fruit and filled with cream) and hot chocolate, and try to forget the fact that the holidays are over and we have to get back to work. 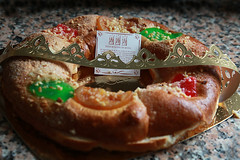 Inside a Roscón de Reyes there are always a gift and a bean. If you eat the portion containing the gift (usually a small figurine) you will be the King, but if you have the portion with the bean, you will have to pay for the cake! We hope this article has been helpful. Enjoy your holidays here in Alcalá.